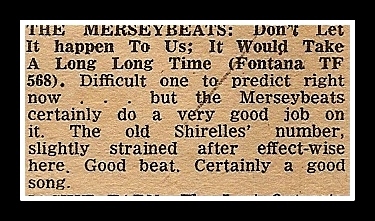 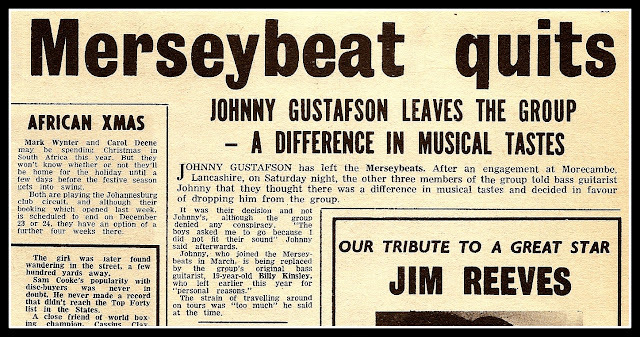 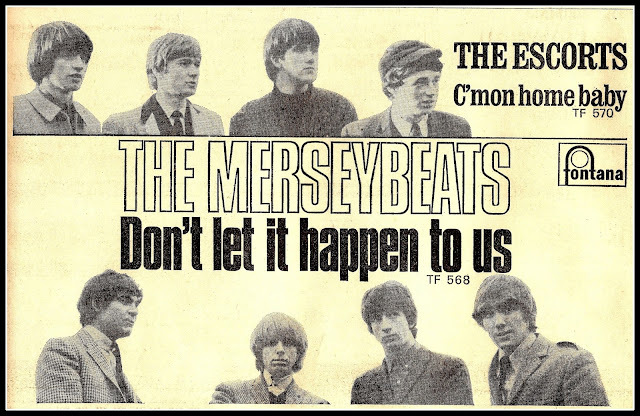 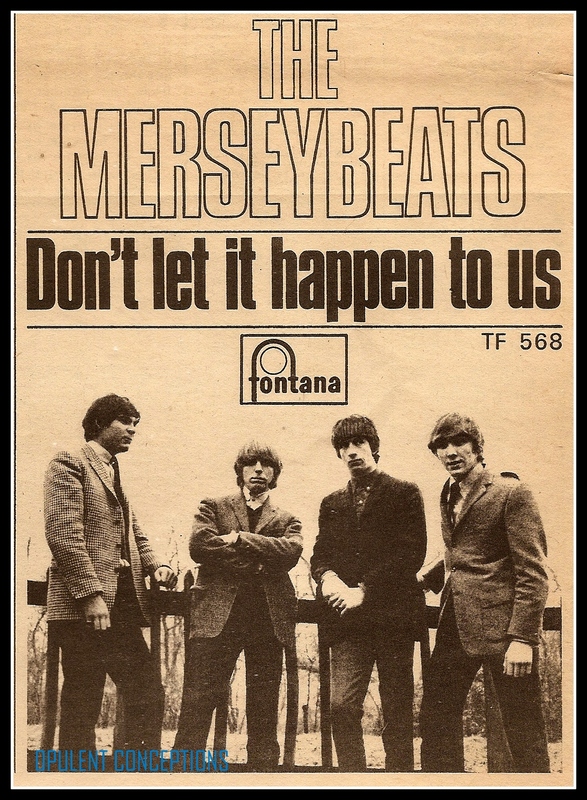 In some respects, The Merseybeats remind me of The Searchers - possibly because their harmonies are subdued and not overbearing. 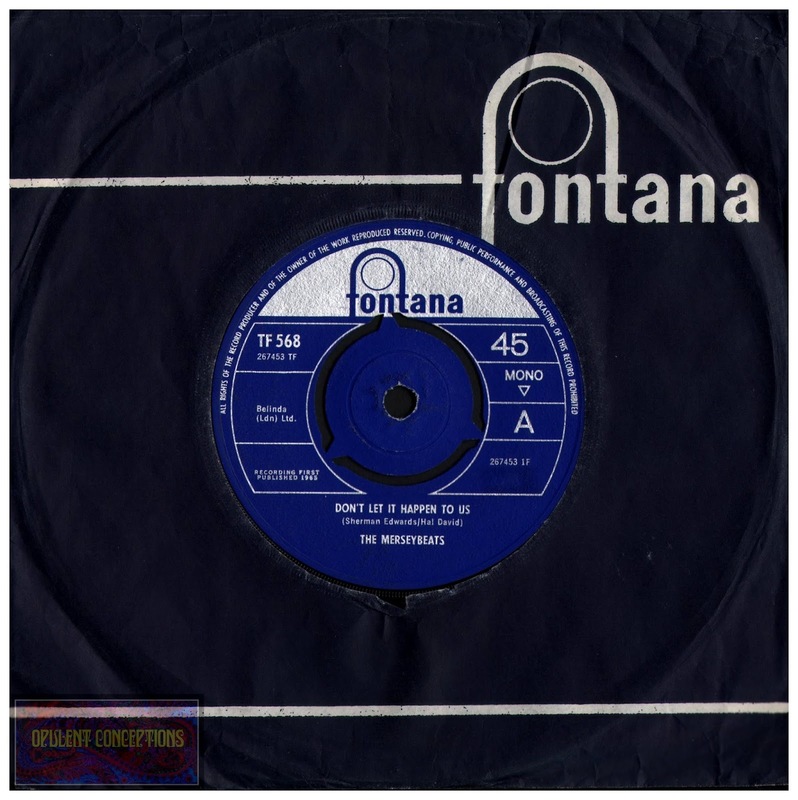 On Fontana, they offer a soothing rockaballad with a lilting beat and captivating guitar figure, "Don't Let It Happen To Us." 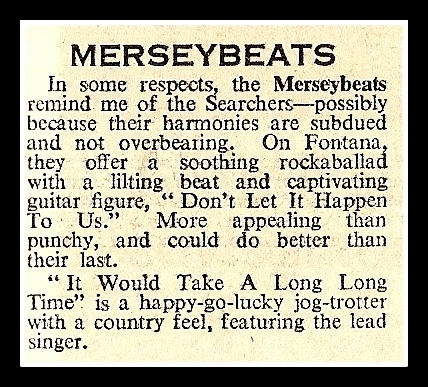 More appealing than punchy, and could do better than their last.